Having spent most of his career on the vendor side, Art Glasgow knows about deadlines. Now the VP and CIO Duke Medicine, which includes Duke University Health System, he’s bringing all that experience to bear in handling the new, breakneck pace at which healthcare, and healthcare IT, are hurtling forward. 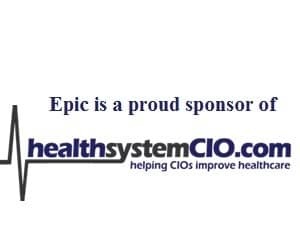 To learn more about the organization’s massive Epic rollout, which Glasgow describes as almost stakes to play in today’s environment, healthsystemCIO.com recently chatted with the North Carolina-based executive. It’s not just trading with providers, it’s also engaging the patient, and that type of framework really doesn’t exist today in one package. Storage is a concern for every CIO out there, especially in a place that had a lot of disparate applications. Over the course of the last year, we’ve shifted to much more of a functional or horizontal type of organization that prepares us to be more of an IT services group, rather than an IT group split up into 25 or 35 different areas. But when you actually support and when you deploy, there’s always going to be a need to have people on the ground who are embedded as well. Whether this solid line goes one way or the other really doesn’t matter. It’s how you support the business at hand. Guerra: You mentioned a couple of other projects besides Epic. Do you want to touch on those? Glasgow: One of the things that I think we already do well here, but that we understand we’re going to have to do even better in the future, is really around data analytics. Duke was one of the early systems that put into place an enterprise data warehouse and really started to build an application framework around that. That supports both our clinical care as well as our research and informatics side of the house. Post Epic, we intend to keep that in place. We’re going to have a data framework and fabric here that we’re going to continue to extend and build applications around. That’s very important to us, and I think that’s one of the areas where you’re going to see us put more resources towards innovating around what we do and how we do it. The research side of the house is also another area that we have a great deal of focus on. The business of research and research administration and how you handle multiple IRBs and billing and all of that is very important to us as well. We have a very large aim that’s focused on that side of the house and have a number of projects that we’re working on in that area around research administration, grant management and those areas. Finally, thinking about HIE and how we move forward and create greater connectivity amongst our partners here in North Carolina, as well as outside the state, is something that we’re focused on as well. As a first step, we’re likely going to leverage some of Epic’s capabilities, their Epic Care Everywhere, simply because we have a significant number of major systems in North Carolina that are on Epic and moving towards Epic. But beyond that, what do we think in terms of community engagement. It’s not just trading with providers, it’s also engaging the patient, and that type of framework really doesn’t exist today in one package. Most HIE platforms are either kind of technical level HIE for IHE-level trading between providers, or you have portals and other stuff to engage your patients with. There isn’t really kind of one holistic package for how you engage a community. Guerra: Right, so those are your other main projects. Glasgow: In the clinical or research space, we also have a number of infrastructure projects that every CIO deals with. Guerra: Do you want to touch on those? Glasgow: I’m happy to. As we roll out Epic, you have to look at your WAN connectivity, and we’re in the process of rebuilding both our core LAN as well as our WAN in order to ensure that we have the performance we want as we roll out a much more intensive package like Epic. Storage is a concern for every CIO out there, especially in a place that had a lot of disparate applications. Epic’s going to replace over 150 clinical applications for us, and many of those applications were run as departmental systems with their own back-end storage, sometimes their own connectivity. As we begin to consolidate that, you have to really think about an enterprise storage strategy and enterprise content management strategy and how you approach that. Privacy and security is always a big area. We are looking at rolling out a number of solutions including endpoint management and data loss protection in order to make sure that our enterprise is keeping pace with both the regulations that are out there, as well as the spirit of what we’re trying to accomplish. Then lastly, it’s not really a technology project, but we are in the midst of a pretty large organizational redesign. When I came on board a year and a half ago, we were a very large but siloed organization with a lot of layers, as well as a pretty significant shadow IT organization across the rest of Duke Medicine. Over the course of the last year, we’ve shifted to much more of a functional or horizontal type of organization that prepares us to be more of an IT services group, rather than an IT group split up into 25 or 35 different areas. Parts of that are things like consolidating help desk, building an entity engagement structure, and really beginning to align different pools of IT that did the same thing, but just did it in five or six different places, into singular organizations that could be grouped under technology, operations, clinical informatics, enterprise architecture, program management, more of a corporate structure that you would see. Guerra: With that sometimes, at least from my experience, comes a little bit more bureaucracy in the sense that the users, when they had those little shadow departments, could go down the hall to get some quick help. But when you centralize, everything needs a trouble ticket. It can be frustrating change for the users. Does that make sense? Glasgow: It does, and I think if you were to try to create a purely centralized model, that would probably not work. I think you have to create a hybrid model. From a leadership perspective, I think the first couple of levels of leadership do need to be organized much more like a services organization so that you can control resource allocation, so that you can plan road maps and handle projects as an enterprise. But when you actually support and when you deploy, there’s always going to be a need to have people on the ground who are embedded as well. Whether this solid line goes one way or the other really doesn’t matter. It’s how you support the business at hand. In certain areas, like if you’re supporting ICU, if you’re supporting the surgical suites, it would be ridiculous to have someone request a ticket in the middle of a procedure if something goes down. You need people on site, scrubbed in for certain applications. But at the same time, do we really need a group of 20 IT folks supporting 40 clinicians and handling, the majority of time, things like, ‘My USB drive doesn’t work,’ or, ‘I forgot my password.’ You probably don’t — that’s probably not a wise allocation of resources. It’s finding that hybrid that will work and understanding that, by acuity, you’re going to have to adjust your model. I think that’s the path to success. Guerra: It’s very interesting, because I was just thinking that if we’re talking about some cardiothoracic surgeons, there should be someone right next to them to help them with their password. Guerra: It’s really making sure the resources that you’re allocating make sense for the demand that you’re allocating them to serve. Glasgow: There are models we can learn from within our very own health system. If you look at the clinical engineers and the biomedical engineers — and, at Duke, that organization does report up through me as well — they’ve lived in this world for their entire careers where they to support on site, 24/7, the critical equipment that our providers and our patients need, but yet they run a rather large maintenance and operations organization as well. They’ve kind of lived in this hybrid world, and I think we can learn a lot from them as to how they deploy and support as we think about IT. Now, where they can learn from us is IT has been better at building large scalable platforms and handling the interoperability question that exists in the back side of every health system. Clinical engineering and biomed haven’t necessarily done that. I think one of the things that most health systems are going to face in the future is how do we begin to leverage those two halves of technology management professionals in order to create a better system overall. Guerra: Let’s talk a little bit about leadership and staff management before I let you go. How many people are on your team, so to speak, the largest number that would make sense, your IT department? Glasgow: Our organization, Duke Health Technology Solutions, is about 750 people, solid line, and technology at Duke Medicine overall, so the dotted line and the shadow IT probably adds about another 500 to 600 people. It’s a significant organization in size and in scope. Guerra: How many direct reports for you personally? Glasgow: I have six direct reports. Guerra: Do you feel like that’s a good number? Glasgow: I think it’s about the right number. Six is manageable for me. We all sit close to one another and they handle very different functional areas of the organization, so it would be tough to compact them below that six. Guerra: It’s a difficult environment, Epic rollout, shortage of talent. Do you have quite a few open positions that you’ve had trouble filling? I hear that a lot. Glasgow: We do. So within the Epic-specific positions there definitely are some areas that are harder to recruit for than others, given the demand that’s out in the marketplace. But even on your legacy systems – and this is to challenge anyone who goes through a large system turnover, how do you keep your people motivated, and how do you recruit for positions, as people leave, on systems that are only going to be there another two or three years. Guerra: I was looking at your LinkedIn profile. One of the things that stood out to me was in a recommendation someone wrote for you. They wrote, “He brings a sense of humor to work that I miss on a daily basis.” I thought that was such a nice compliment. I guess it’s certainly a big part of leadership just connecting with people on a human level and being yourself that I would imagine bringing humor to your work environment is just part of who you are? Glasgow: It is. If I can’t have fun, then I find myself getting bored very quickly. It’s important for me to be able to look at the humorous side of what we do and share a little bit of who I am as well with my team, and that’s the larger team as well. I do quarterly town halls with both the entire staff, as well as the management. Separate town halls for management, and they’ve really turned in to be fun over the last year and a half. I think the staff expects me to kind of get up and be real, and they’re feeling more comfortable being real themselves. Guerra: Before I ask you my final question, is there anything else you want to add? Glasgow: No, it’s just that it’s been a lot of fun, it’s been an education for me. One of the things that I enjoy the most being on the provider side, versus my experience previously in my career, is that you’re close to the mission, and anytime that it gets frustrating or anytime I feel like, ‘Why can’t we figure this one out?’ all that I have to do is walk across the street and watch through the NICU or talk to a patient in the hallway who’s life has been changed and you realize what you do matters. It motivates you to kind of get back and figure out some of these problems. Guerra: The NICU will do it, right? Guerra: For sure. It kind of works with my final question, in the last year and three months since you’ve been at the organization, what have you learned about leadership that maybe changed something you had been thinking or just opened your eyes to something, anything that comes to mind? Glasgow: I can’t say that it changed my mind, but it reinforced, I think, the importance, especially in a health system environment, of being utterly transparent about where you’re headed. This is a somewhat new role for me, not just because I’m on the provider side but because every other role I’ve had, even at the CIO level, I’ve been a senior technology leader within a technology-focused organization. There’s a certain level of understanding with the rest of the organization that comes along with that. Now I’m the senior technology informatics leader in an organization that really isn’t focused on technology. The need to be transparent and to over communicate is critical. Not only to ensure that there is understanding but, more importantly, that there’s buy in, that there’s emotional trust, and I’ve learned, over the course of the last year and a half, that’s almost even more critical when you look down within your organization than it is as you look out. We’re putting an awful lot of change on the shoulders of the people who work here and some of it is self-inflicted through things like trying to design a better organization, but a lot of it really isn’t. It’s driven by regulation or Epic or some other large project that we’re taking on. Even though it’s mostly positive change, and I think most people would agree with that, it’s tough and change is always hard. Being utterly transparent and available and over communicating is so critical and not taking it personally when people express some angst, and just understanding that’s a normal part of the process, is pretty critical. I’m at that point where we’re starting to see the momentum pick up and move in a positive direction and its getting fun, because the first year was about fighting through resistance and trying to create change, and now people are starting to pick up the oar and row with us. It’s getting to be really fun at this point, and it’s just kind of reinforced for me some basic lessons I learned 25 years ago in the Marine Corp.
Guerra: Well, that’s wonderful Art. I want to thank you so much for your time today. Glasgow: I appreciate the opportunity and wish you the best. Guerra: All right, look forward to speaking with you in the future. Have a great day.